As we reflect on this joyous day of Eid-al-Fitr we have countless blessings of Allah (SWT) to be grateful about. First, on behalf of AlAmeen Post team, editorial board, contributors, writers, and advertisers, we wish everyone a very happy Eid Mubarak. May this be one of the best days for all of you. We pray to Allah that may he accept our prayers, our fasting, our worshipping, our bowing, prostrations and our charity and Zakah, and reward us all immensely (Aameen). We are grateful to Allah that although this may have been forecasted as one of the toughest Ramadan, due to long day light hours, and summer heat. The bounty of Allah showered upon us throughout the year in this part of the world, where other parts of the world, including eastern Canada and United States were breaking records on heat wave. The weather throughout the Ramadan was milder here than anywhere else. We are grateful to Allah for his blessings, the peace and tranquility, and cooler weather allowed us all to enjoy this blessed month by participating in much of Ibaadah. Ramadan is a time of reflection and sharing. Reflecting on the blessings of Allah, and sharing our better fortune with others. Those who are needy and destitute. It is time for us to recognize our local Islamic institutions who went above and beyond to assist those in need. BCMA has always been at the forefront of assisting Muslim Ummah both locally and globally. Thousands of our local community members donated hundreds of thousands of dollars through Zakah, Fitrana, and Charity towards helping others. We would like to recognize all donors, for their donations, and the BCMA for efficiently distributing the donations throughout the community to those in need. BCMA Burnaby Branch certainly, as always went above the call of duty through their Food Bank program to assist those in need. 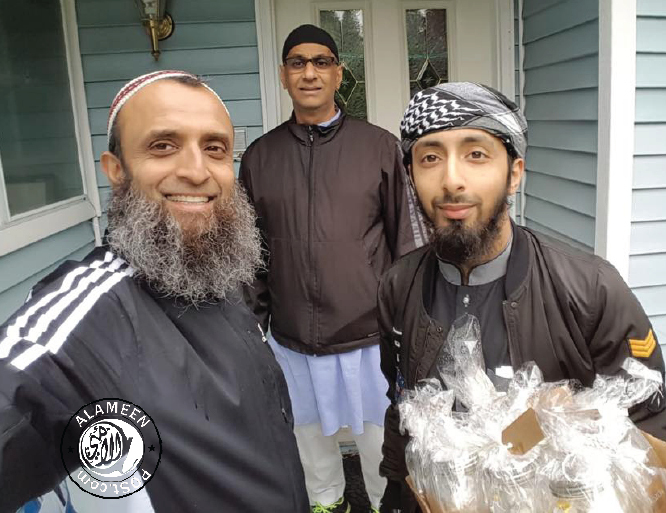 Another institution that has become the pillar of our community in assisting locals, regardless of the faith, Muslims and non-Muslim is the Muslim Food Bank, which provides food hampers to anyone in need. Their services to our local community deserves a big applaud. This was another remarkable year for the Pakistan Canada Association, West 8th Avenue mosque. “We make a living by what we get. We make a life by what we give.” -Winston S. Churchill, quoted on their Facebook page sums up their efforts and good will in reaching out to the poor and destitute in our region. This year was a remarkable success as the PCA get better each year in rolling out their annual program of feeding the homeless in downtown east side. Other notables Canadian based Muslim NGO’s working globally and su pported by the local community worth mentioning are Human Concern International (HCI), Islamic Circle of North America (ICNA), and Islamic Relief. This year PCCA and Masjid ur Rahmah also distributed food to the needy in Surrey whalley area. Masjid ur Rahamah also took the initiative to deliver Ramadan gifts to their neighbours. This was also a year of some political history in the making. 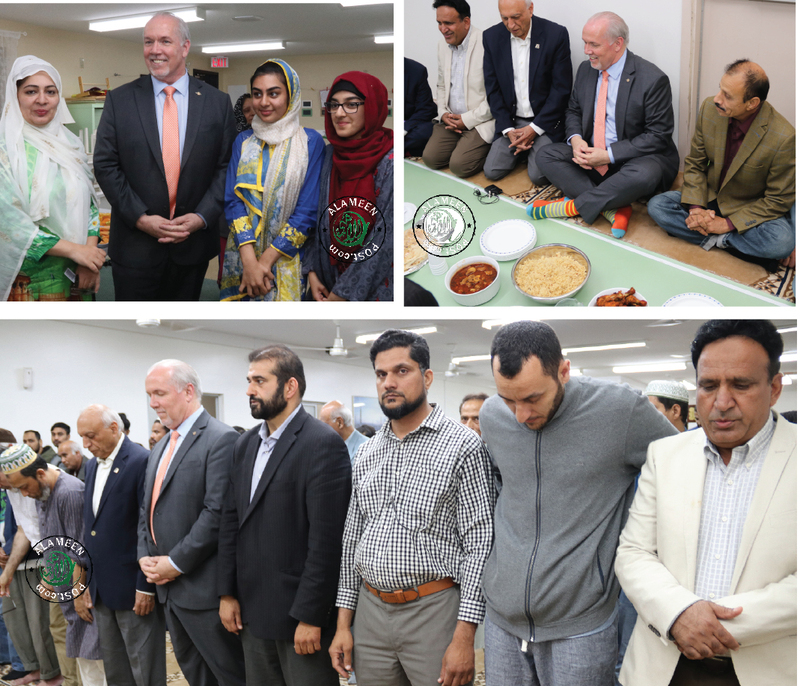 For the first time in BC’s history a sitting Premier, Mr. John Horgan attended an Iftar dinner at a local Mosque. We would like to recognize the organizers at PCA, West 8th Avenue mosque for taking the lead role in arranging this historic moment for the Muslim community. 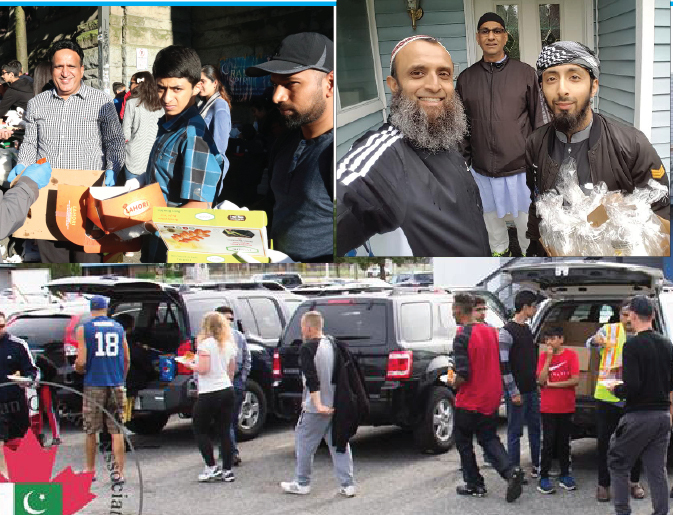 We would like to thank Premier Horgan, and his team for taking the initiative and working with the local Muslim community by taking time of out of his busy schedule to celebrate with the community during this blessed month. We would like to thank and congratulate Liberal MP, Honourable, Mark Holland from Ajax, Ontario, who in past had been fasting few days during Ramadan, and have always highlighted the importance of Ramadan in the Canadian Parliament. This year Mr. Holland kept his fast during the entire month of Ramadan, and had this to say during one of the sessions in the parliament. “Mr. Speaker, for those in Ajax, in Canada, and across the world who are observing, Ramadan Mubarak. For the fourth year in a row, I am fasting for the entire month of Ramadan in support of the charity Give 30. Give 30 asks us to take the money we save from fasting to give to those most in need, to our local charities and local food banks, so that others may eat. When I walk out of here and walk past a plate of food, because I am fasting I make a choice that I am not eating it, but for so many there is no choice. There is no food to reach for. In connecting us to the suffering of others, Ramadan is enormously powerful. Give 30 is a tremendous initiative that, since I first spoke in this House, has expanded to the United States and Australia and is now expanding to other parts of the world. This is indeed an important day for all of us to be with out family, friends and loved ones. A day of celebrations. Once again, we wish everyone a Joyous Happy Eid, and wish you all the best. Eid Mubarak from AlAmeen Post Family. HAD WE bestowed this Qur’an from on high upon a mountain, thou wouldst indeed see it humbling itself, breaking asunder for awe of God. And [all] such parables We propound unto men, so that they might [learn to] think.